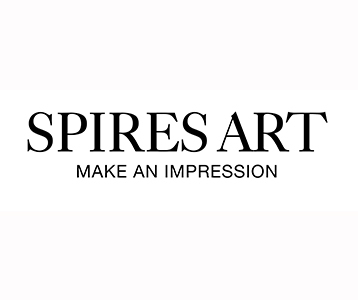 Established in 1988, Omagh based Spires Art has had continued success in the art industry. Our company offers a combination of experience, knowledge & quality service. Our team are dedicated to customer service, from projects with individuals to large corporate projects in both the UK and internationally. Spires Art have become a leading light in the art industries in not only Northern Ireland, but Internationally too! The company specialises in designing and providing a broad range of artwork for both commercial and residential markets, from unique glass art through to prints, mounted prints and artwork, framed artwork, glass sculptures, way-finding art signage and bespoke wall coverings. Our service covers design, development and installation, although we also offer a supply only service where appropriate.